Mountain rescue is a 24/7/365 voluntary service that helps those in need in difficult and remote terrain – well beyond the reach of the Fire & Police Rescue services. We rely completely on donations from the public and occasional grants from generous organizations to be able to do our work. TMR Donation – Thank you! 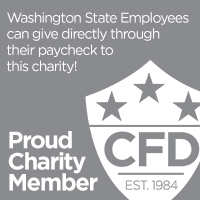 All Washington State employees can donate to Tacoma Mountain Rescue here through easy online payroll giving with the Washington Combined Fund Drive! On behalf of the next life saved – thank you!